Fersina windows and doors is celebrating more than 30 spectacular successful years of serving happy and satisfied customers! Since its inception in Peterborough in 1987, Fersina Windows has led the industry in design, manufacturing, and customer service. Fersina custom-manufactures a complete line of ENERGY STAR qualified windows for new construction and replacement markets. Fersina windows are manufactured using state of the art vinyl frames and components. We strive to provide low maintenance, energy efficiency and a design to suit every specification. Specialists in architectural windows and windows for historical homes, Fersina commits to working with customers to achieve the highest level of satisfaction possible. 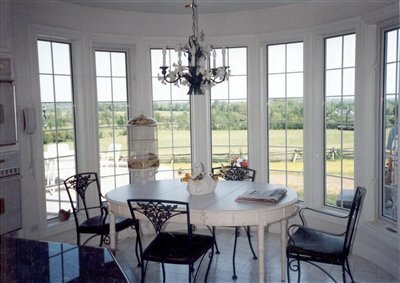 Fersina Windows produces a complete line of superior quality vinyl windows. No “good, better, best” – Fersina manufactures only premium quality products for your new home or renovation. Choose from standard extruded window colours, custom exterior colours and numerous glazing and frame options to create the result you are aiming for with your project. Fersina Windows offers products for sale to contractors, consumers and dealers. Our experienced installation department can install your new windows or doors for the peace of mind that comes with a job done right the first time. When you buy directly from Fersina you are dealing with the manufacturer. Fersina is your top window and door supplier and we make it our mission to make your windows and doors look perfect – always! For more information about our range of windows and doors, give us a call today!